For full survey details, please consult "A Survey of 56 Midlatitude EGRET Error Boxes for Radio Pulsars" by F. Crawford et al., Astrophysical Journal, 652, 1499 (2006). For details about radio burst detections (perytons) in this survey, please see "Radio Bursts with Extragalactic Spectral Characteristics Show Terrestrial Origins" by S. Burke-Spolaor et al., Astrophysical Journal, 727, 18 (2011). One of the pulsars discovered in this survey, PSR J1614-2230, has a very precise mass measurement of 1.97 +/- 0.04 solar masses. This has implications for neutron star structure models and the equation of state. This mass measurement is presented in "A Two-Solar-Mass Neutron Star Measured Using Shapiro Delay" by P. B. Demorest et al., Nature, 467, 1081 (2010). A more recent anlaysis of the data looked for highly dispersed fast radio bursts (FRBs) - not to be confused with perytons -- in this survey and two others. 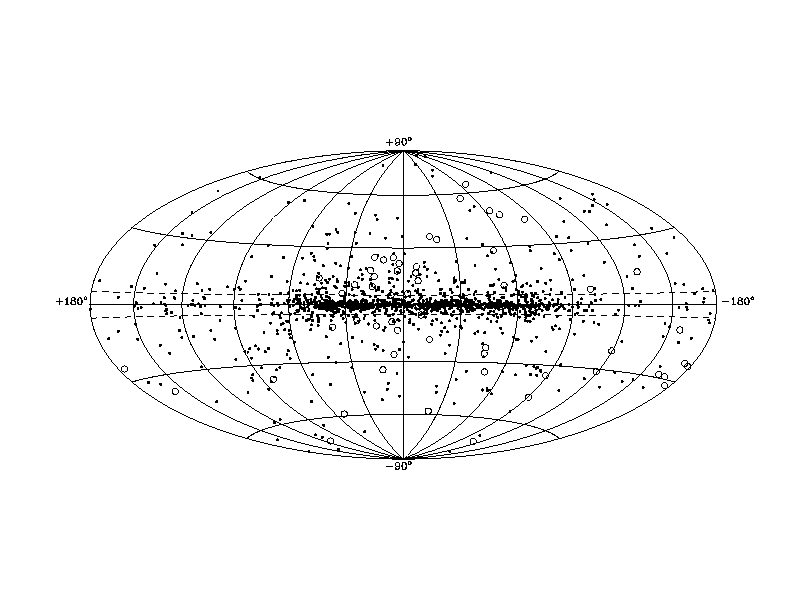 The results appeared in "A Search for Highly Dispersed Fast Radio Bursts in Three Parkes Multibeam Surveys" by F. Crawford et al., Monthly Notices of the Royal Astronomical Society, 460, 3370 (2016).